As an Information Security Engineer, keeping others’ information secure and unbreachable is the name of your game. Without your profession, countless numbers of individuals’ data would be at risk, whether that data is electronic or physical. 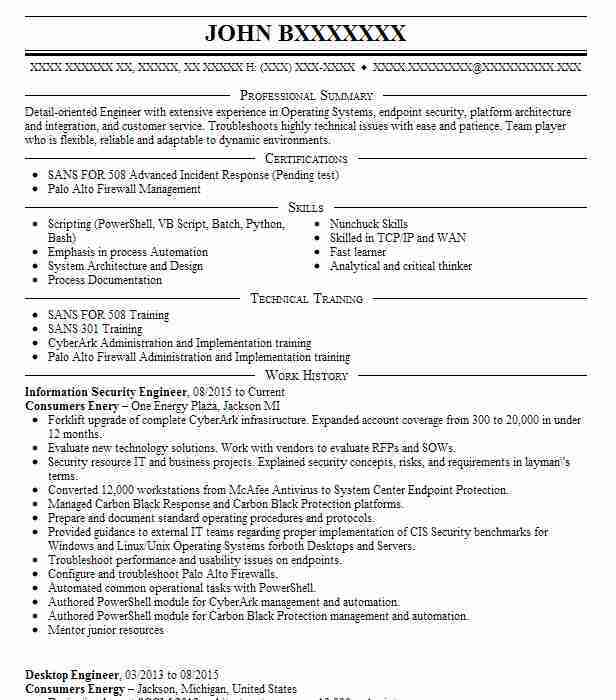 When applying for a job as an Information Security Engineer, it is crucial to have a well-written and all-encompassing resume objective to show the hiring managers what a catch you are. Composing a fantastic resume objective can sometimes seem daunting, but it doesn’t have to be. A great objective takes the extraordinary aspects of your resume, such as “developed a top-selling, anti-theft program for mobile phones” or “recognized for superior level of integrity by former employer,” and shrinks them down into a summary of your highlights. Make sure when compiling your strengths into your objective that you always include the name of the company you are applying to and any goals or ambitions that you have for them while working there. 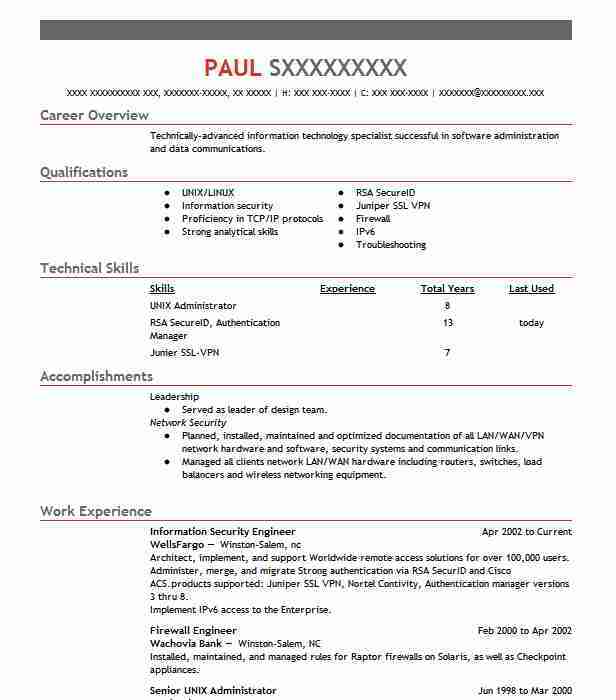 This turns a run-of-the-mill resume objective into an exceptional one and shows your potential employer that you are a dedicated and loyal prospect. 1. 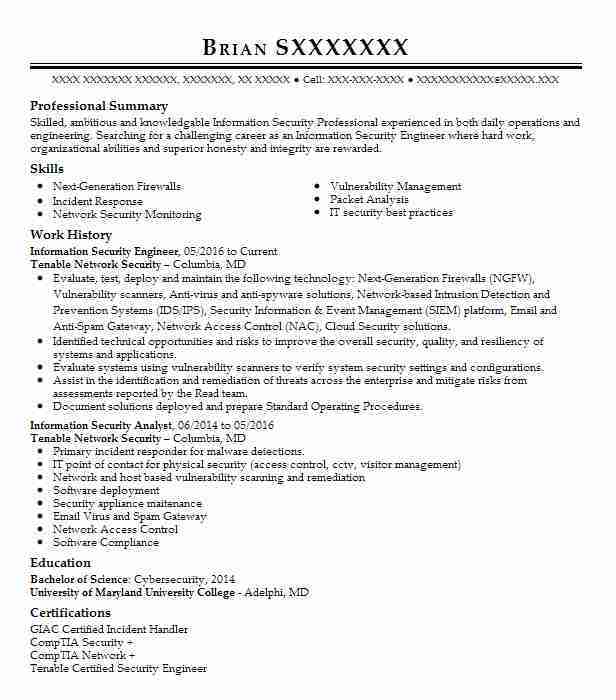 Seeking an Executive Information Security Engineer position with ABC Company that values exceptional computer skills, an extensive software engineering background and 16+ years security experience at a local government office. 2. A highly qualified, proactive individual with 11+ years of supervisory experience in the securities field seeks an Information Security Engineer Management position with ABC Company. 3. Searching for a challenging career as an Associate Information Security Engineer with ABC Company that rewards hard work, organizational abilities and superior honesty and integrity. 4. 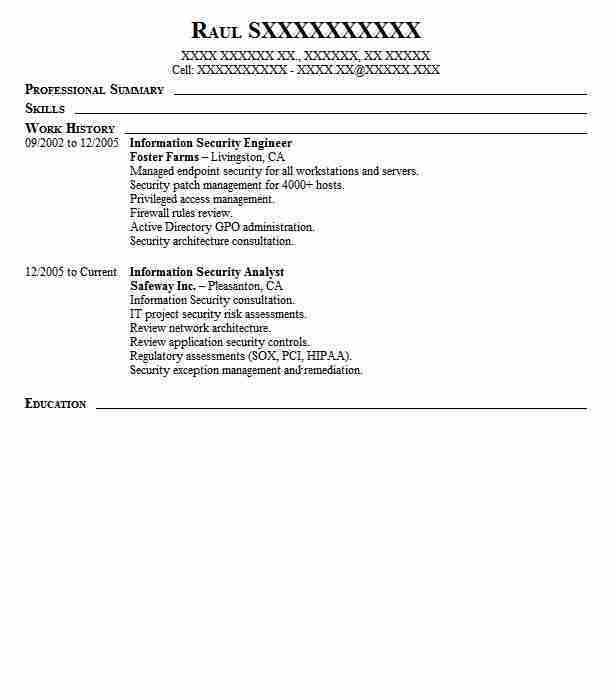 Obtain an entry-level position as an Information Security Engineer at ABC Company that will utilize a post-graduate degree in Information Systems and extensive experience in software and computer design. 5. 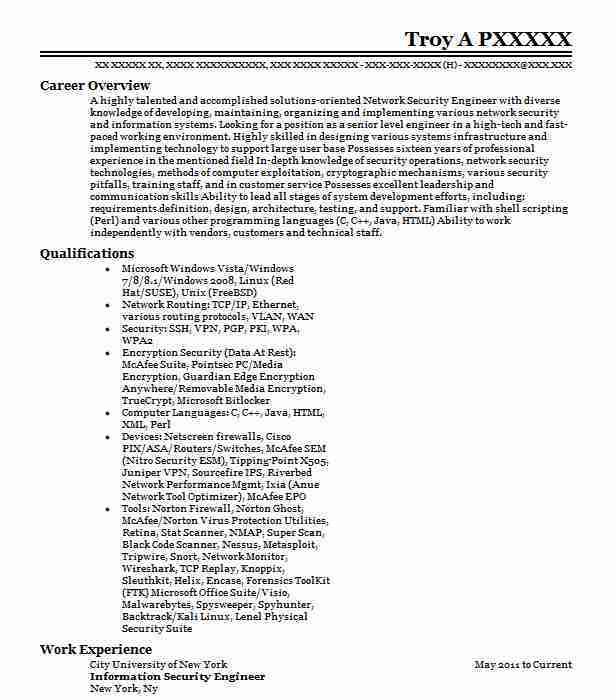 Looking for a position as an Information Security Engineer with ABC Company that would like to build its security framework with a talented, highly motivated and experienced individual. Summary: Technically-advanced information technology specialist successful in software administration and data communications.